A quick learner, Baer began a lifelong process of self-education. He taught himself English, which he said proved critical in getting his family on the “miniscule” list of individuals accepted by U.S. immigration. Just weeks before Kristallnacht, the “Night of the Broken Glass,” which signaled a major escalation of the Nazi state’s war on Judaism, the Baer family escaped Hitler’s grip. They made their way to New York, where Baer’s mother had relatives. In retrospect, horrifying as they were, Baer’s early years in Germany sharpened personality traits that helped prepare him for a career in innovation: perseverance, scrappiness, risk-taking, resourcefulness, and self-confidence. Baer was only 16 when he arrived in New York in 1938. He immediately showed a characteristic immigrant’s work ethic and drive to succeed. Resuming his self-education—necessary because of his lack of any school degree from Germany—he spent afternoons studying at the New York Public Library. He also took correspondence courses in radio and television electronics. 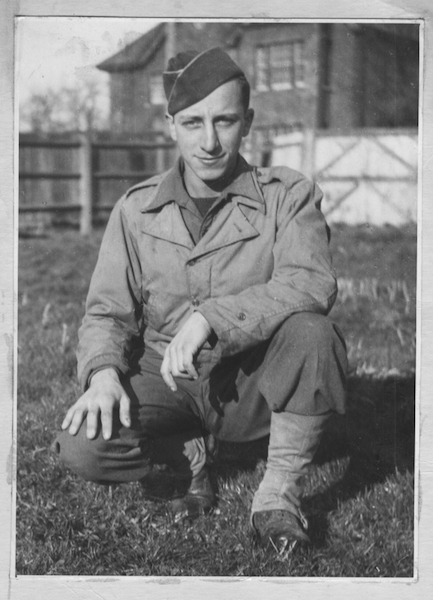 In 1943, he was drafted into the U.S. Army, and then assigned to military intelligence on account of his fluent German and other language skills. After the war, like millions of veterans, Baer went to school on the GI Bill. He had to go to Chicago for schooling because all the colleges in New York were completely full of returning GIs. In some ways, that was a blessing as he met radio and television pioneers there and earned what he believed was the first B.S. degree anywhere in television engineering. Thereafter, he returned to New York. While he did well at jobs that capitalized on his military experience and knowledge of electronics, Baer kept an eye on the extraordinary things happening with commercial radio and TV. In America’s postwar economic boom, televisions were entering homes at an amazing rate. There would soon be more than 50 million TV sets in American living rooms, and in this, Baer saw a rare opportunity. Baer finally had a chance to realize his dream a few years later at his job at Sanders Associates, a defense electronics firm in Nashua, New Hampshire. Rising quickly in the organization, Baer showed he knew how to operate within a large corporate R&D structure, but soon proved his imagination could not be contained by that or, for that matter, any structure. Baer was having trouble creating a device that would actually introduce images on the TV screen until he had a eureka moment while on a business trip to New York City. Sitting at a bus stop, he realized he could build a small radio-frequency signal device, “so you could get into the antenna terminals of a TV set on Channel 3 or Channel 4.” He realized that this was a way to begin to make the television set more interactive. Soon after, while managing a military research lab of hundreds of technicians and engineers, Baer quietly commandeered a small former library space on the fifth floor of the company’s Canal Street building, where he secretly started what he called his own “skunk works.” When the pace of business allowed, he and a couple of tech designers he had selected to assist him worked sporadically on the idea of a game console that could work on unmodified TV sets. He also did some related work in his basement lab in his home. “Little by little, we got stuff on the screen,” he remembered. “Then we started thinking about what games to play.” That included the first-ever onscreen ping-pong game. Out of this original idea came his famous prototype “brown box,” a single console containing the first video gaming system, now in the collections of the Smithsonian’s National Museum of American History. Once Baer created a prototype, he finally went public. Baer presented it to his managers, persuading them they could make money with TV/video games, even though such games had nothing to do with the serious business of radar and other defense R&D that were Sanders’ main product lines. Baer had always been a tinkerer at home, too, and his success with the brown box only motivated him to do more. He was clearly happiest working in his cozy basement in Manchester, New Hampshire, 18 miles away from Sanders, amid family and his favorite tools and devices. West Coast garages rank high in the hierarchy of temples of innovation—both Hewlett Packard and Apple famously trace their origins back to suburban garages. But if you’re into video games, you owe a debt of gratitude to an East Coast basement. At the National Museum of American History, we’ve reassembled that very lab as a key exhibit in the new wing dedicated to innovation and American enterprise. Experts often debate whether invention and innovation rely more on solitary endeavors or institutional collaboration, but Baer’s work shows that it’s more often than not a combination of both dynamics that spark technological revolution, as he straddled both models with his twin workplaces. Sanders provided resources and an “ecosystem” for innovation. His Manchester basement with its bright red door provided an all-hours escape and unfettered freedom. Baer’s personal odyssey has become part of our common American story, and I am proud that his basement workshop has been enshrined for future generations of video game enthusiasts. (Arthur Molella is director emeritus of the Smithsonian’s Lemelson Center at the National Museum of American History. 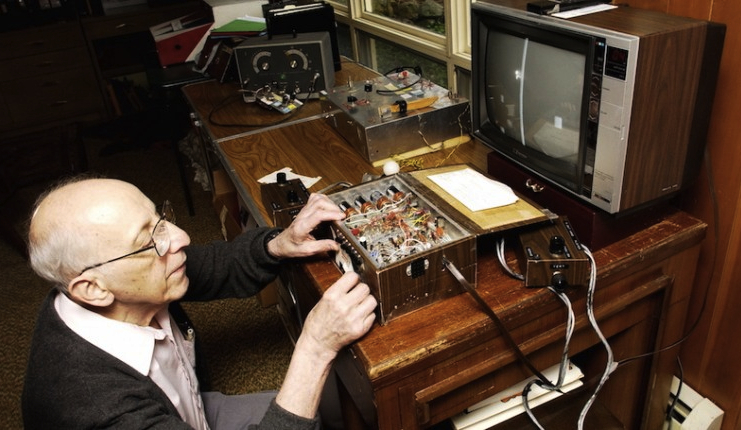 Molella was part of the curatorial team that brought Ralph Baer’s workshop to the museum. 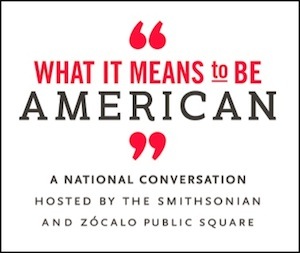 This story was written for What It Means to Be American, a project of the Smithsonian and Zócalo Public Square. It was originally published on December 11, 2015. Primary editor: Andrés Martinez. Secondary editor: Jia-Rui Cook. The Politics of Prejudice: How Passports Rubber-Stamp Our Indifference to Refugees Let There Be Light Bulbs: How Incandescents Became the Icons of InnovationCould an Old-School Tube Amp Make the Music You Love Sound Better? I can’t wait to see his workshop at NMAH. Nicely written. 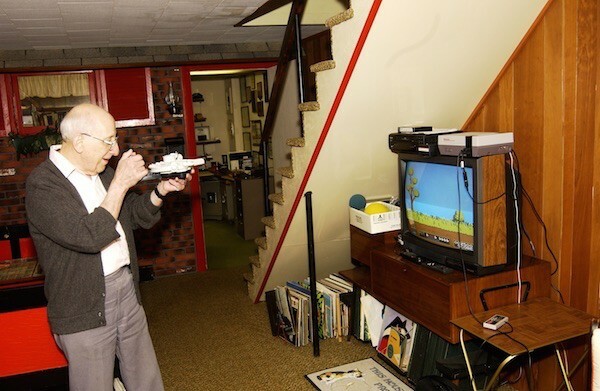 For anyone who wants to learn even more about Ralph Baer, his professional papers are housed at The Strong National Museum of Play in Rochester, NY. “ ” It's like looking at a photocopy of Picasso's Guernica versus the original painting.